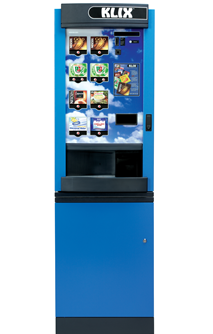 The perfect machine designed for home use or small office. Whether this is your first coffee machine or a replacement for an old favourite, here are some tips to help you purchase your dream coffee machine. Firstly it is important to consider what kind of coffee you want to make. 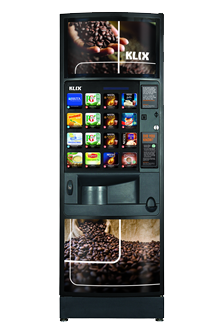 This may seem like an obvious question but given the variation of coffee machines in the marketplace it is easy to get confused. It can be all too easy to be enticed by fancy features only to find that you have acquired a machine which doesn’t make your favourite coffee. In a filter coffee machine cold water is poured into the top of the machine. After being warmed by a heating element it then drips down and passes through a basket of coffee into a jug below. It is then kept warm by a hot plate. A popular domestic choice, filter coffee machines can use any type of ground coffee and the coffee they produce is a marked improvement on instant coffee. 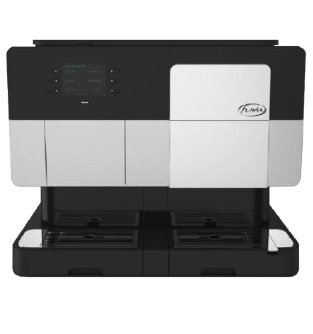 Also known as pod coffee machines, in these machines the coffee comes in the form of a pre-packaged capsule or pod which is inserted into the machine. 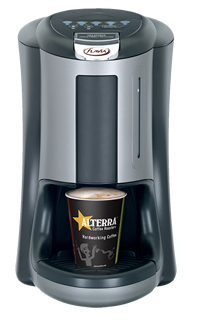 When the machine is activated, usually by pressing a button, the pod is pierced and hot water passes through it and into a waiting cup. 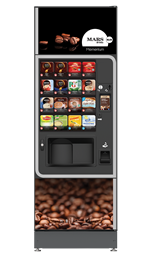 The advantage of capsule coffee machines is that they are easy to clean but are limiting in that the capsule or pod tends to be restricted by the machine manufacturer. Percolators use ground coffee and work by boiling water in a special water chamber until the water is forced up a tube. It then falls onto the coffee which is held in a separate compartment below. These use a thermostatically controlled water boiler to heat the water. When the water reaches 85C – 92C, the optimum temperature, it passes through the ground coffee. They often come with an accessory to steam milk so that cappuccinos and lattes can be made too. This type of machine is in effect a sophisticated espresso machine. 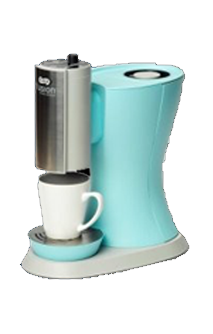 It has a built-in grinder which grinds the coffee beans before passing hot water through them to make coffee. The measure of a good espresso tends to be judged on the foam or “crema”. This is depends on the steam meeting the coffee granules at the correct speed. If the speed is too slow, i.e. below 15-19 bar, it can result in a bitter taste. Another consideration when purchasing an espresso machine is the wattage. If you friends pop round regularly and need mass produced espressos, it may be worthwhile investing in a higher wattage as it will boil the water faster. If you are investing in a coffee machine which doesn’t have a built-in grinder don’t skimp on the coffee grinder. If the grind isn’t consistent it will have a negative impact on the coffee.